"Many, many thanks to everyone who worked to make sure we had a successful event! Everything came together beautifully: the food was delicious, the tables looked crisp and classic, the audiovisual worked seamlessly, and our guests were energized and inspired by our program. We couldn't have done it without you!" 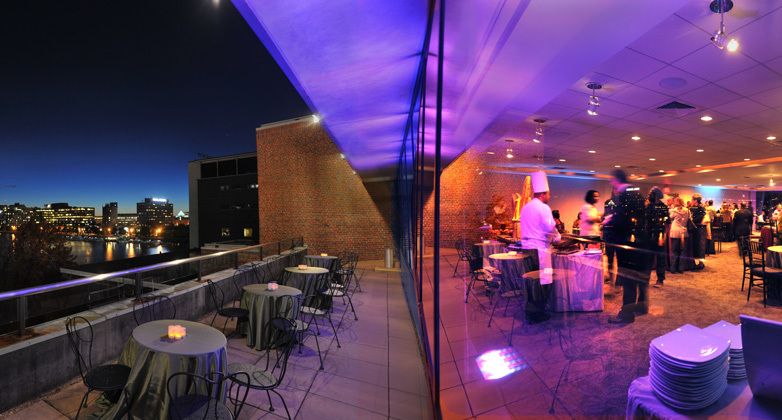 Located on the Museum's topmost floor, the Skyline Room offers panoramic views of the Charles River, Back Bay, Boston, and Cambridge through two adjacent walls of floor-to-ceiling windows. Sunsets are spectacular! 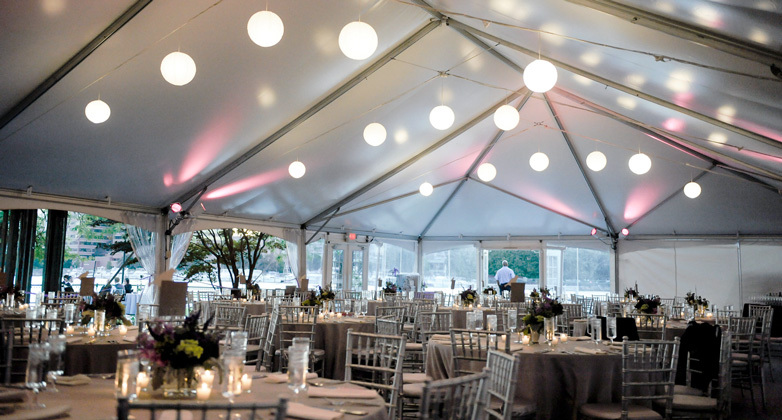 Located directly on the Charles River, this open-air pavilion consists of a semi-permanent tent, a covered patio, and beautiful landscaping. 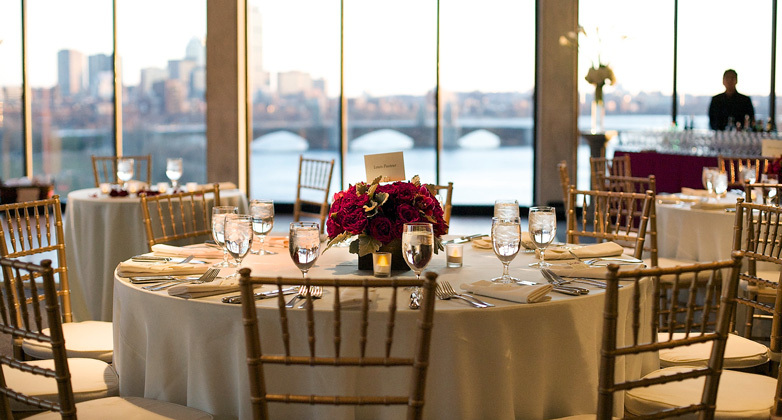 The d'Arbeloff Suite features a private balcony overlooking the Charles River, while on the opposite side of the room views of the Bunker Hill Monument and Zakim Bridge promise to delight guests. With an array of interactive exhibits extending across three levels, the Museum's Blue Wing may be the most unique and entertaining space in Boston. Where else can you dine amid dinosaurs and experience a hair-raising one million volts of lighting all in the same evening? 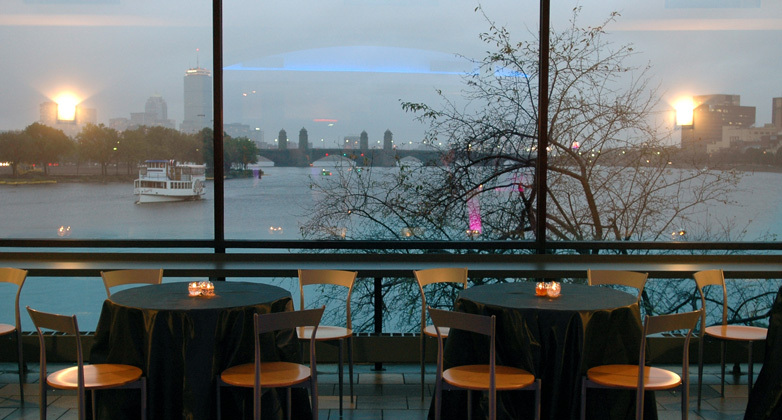 Centrally located within the Museum, the Riverview Café features clean, geometric lines and a long bank of windows overlooking the Charles River. 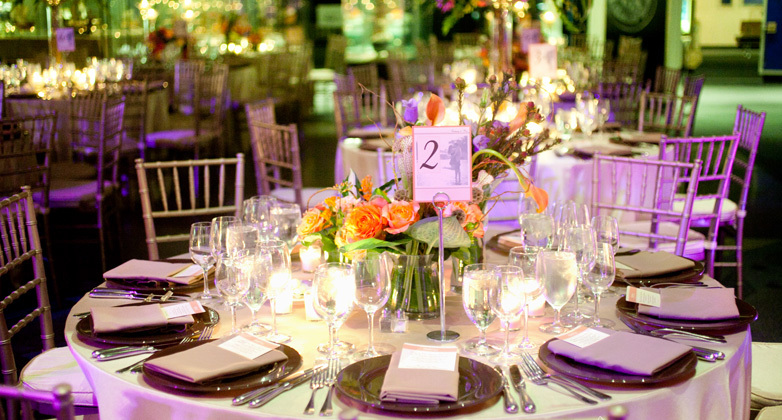 For large-scale events of up to 4,500 guests, the entire Museum may be reserved. 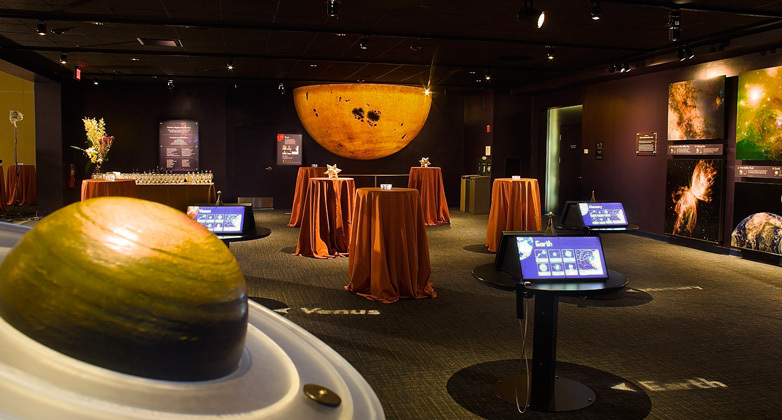 Your guests can roam freely from the Charles Hayden Planetarium to the Theater of Electricity while indulging in Wolfgang Puck Catering's exquisite cuisine and premium cocktails.